Essay: “Comforts, Crisis, and The Rise of DIY Urbanism” in Sentient City: Ubiquitous Computing, Architecture and the Future of Public Space, edited by Mark Shepard. 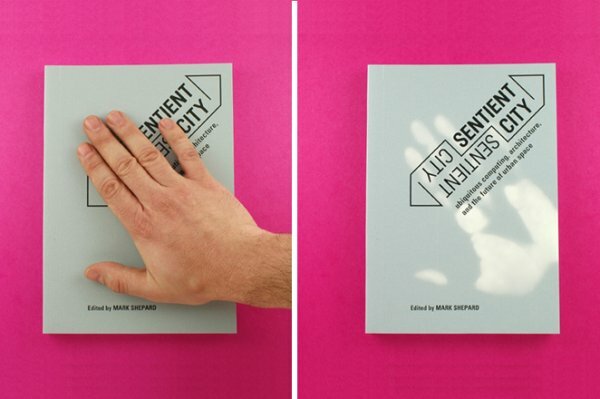 This book expands on an exhibition that I curated in the fall of 2009 titled Toward the Sentient City. Documentation (text, images, diagrams, photographs) of the projects realized for the exhibition is combined with that of preliminary experiments, background research, material studies, interaction prototypes, and the subsequent analysis and interpretation of the data generated by the projects’ implementation. Complementing these case studies, a series of critical essays reflect on the larger implications of ubiquitous computing for the way we think about architecture in general and the design of urban space in particular. Building on a series of responses to the exhibition contributed by writers and theorists of architecture, urbanism, media theory, technology and related fields, these critical reflections are intended to help the reader situate what may at first appear to be novel questions about the intersection of ubiquitous computing, architecture and urban space in terms of more long-standing and established discourses on the technological mediation of urban life and the role architects, urban designers, and technologists alike might play in shaping its future evolution. Case studies by David Benjamin, Soo-in Yang, and Natalie Jeremijenko; Haque Design + Research; SENSEable City Lab; David Jimison and JooYoun Paek; and Anthony Townsend, Antonina Simeti, Dana Spiegel, Laura Forlano, and Tony Bacigalupo. Essays by Keller Easterling, Matthew Fuller, Anne Galloway, Dan Hill, Omar Khan, Saskia Sassen, Trebor Scholz, Hadas Steiner, Kazys Varnelis, Martijn de Waal, and Mimi Zeiger. Published by the Architectural League of New York and MIT Press.